Reappointed as President Commissioner and Independent Commissioner in pursuant to the resolution at the Extraordinary General Meeting (EGM) on May 4, 2018 in Jakarta, with a tenure of up to 2022. Reappointed as Commissioner in pursuant to the resolution at the Extraordinary General Meeting (EGM) on May 4, 2018 in Jakarta, with a tenure of up to 2022. 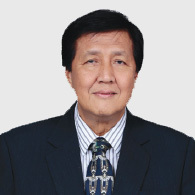 Mr. Rudi Suryajaya Komajaya has served as Commissioner since 2013. He earned a Bachelor of Science in Building Science from the University of Southern California, LA, USA, 1990, Master of Science in Construction Management from the University of Southern California, LA, USA in 1991 and Master of Business Administration from the Woodbury University, Burbank, USA, in 1994. 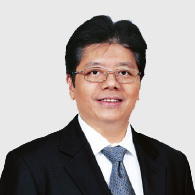 He is currently serving as Commissioner at PT Jaga Bangunpersada Komajaya (1997-present), Director at PT Total Inti Persada (2005-present), and President Director at PT Total Persada Development (2010-present). He was a Project Engineer at Obayashi America Corp., Los Angeles, United States of America, in 1992 prior to joining PT Total Bangun Persada Tbk in 1994 as Estimator. He further served as Deputy Director of PT Total Bangun Persada (2003-2005) and Director of PT Total Bangun Persada Tbk (2005-2008). Mr. Rusdy Daryono has served as Independent Commissioner since 2017. He earned a Bachelor of Economics degree from the University of Indonesia in 1976. 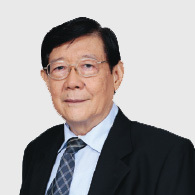 He has more than 40 years of experience in the financial industry which started at the public accounting firm of Drs. Utomo, Mulia & Co in 1973. 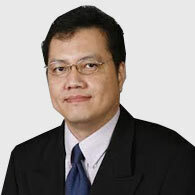 He joined PT Salim Economic Development Corp in 1978, PT Hardy Trading in 1982 and the public accounting firm of Drs. Mulia Iskandar & Co in 1983. He served as a Partner and Division Head at the public accounting firm of Prasetio, Utomo & Co from 1987 to 2002, and was a Partner at Osman Ramli Satrio & Partner from 2003 to 2006. 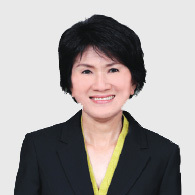 At present he concurrently serves as the Independent Commissioner of PT Bank UOB Indonesia and Audit Committee of PT Sentul City Tbk. Reappointed as Independent Commissioner in pursuant to the resolution at the Extraordinary General Meeting (EGM) on May 4, 2018 in Jakarta, with a tenure of up to 2022.